It all started with a chiropractic adjustment at an early age that helped aid the healing process of an ear infection. Since that day Dr. Mike took an interest in the human body, fitness and wellness. Upon seeing the results from that first treatment, Dr. Mike decided to continue to heal his body through chiropractic care. After graduating high school, he went on to attend Monmouth University and after four years of hard work and fun, he graduated with a BA degree in Communications. Dr. Mike was offered a corporate position where he helped clients build their business and tap into unforeseen growth potential, but he still felt like he wasn’t fulfilling his true passion in health/wellness. With that in mind, he challenged himself and took the certified personal trainer exam and became a licensed personal trainer under NASM. After doing both of these professions for a few short years, he realized it was time to pull the trigger and go back to chiropractic school, so he could do more to help people. Dr. Mike was accepted to Life University in Marietta, GA where he completed his doctorate in June 2016. 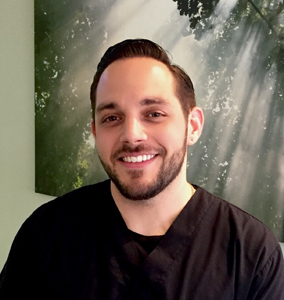 Even though he came to Active Life Chiropractic & Wellness in the late spring of 2016 as an intern, Dr. Mike officially came on board in July of 2016 where he helps provide the highest quality of patient care as a member of the Active Life team. 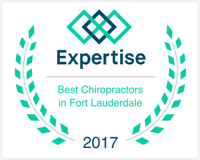 At Active Life Chiropractic & Wellness, Dr. Mike and the rest of the team are ready to help you heal in a variety of ways, including chiropractic care, auto accident care, anti-aging and regenerative medicine, laser therapy, weight loss and rejuvenation, and GAINSWave® sexual wellness.